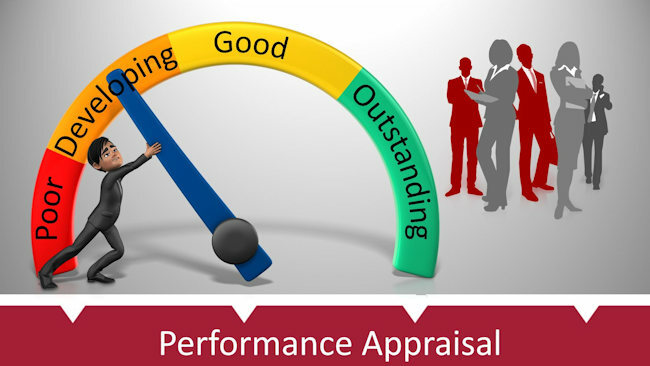 The performance appraisal is not a time to discuss rewards or to reprimand! Despite its usefulness, the process is fraught with anxiety and difficulty, given the fact that some of the information that needs to be communicated to prospective employees may be negative, or may have adverse consequences, such as having to let go of a worker. In order to get the best out of your employees and to be open and honest with them, you need to understand the necessity of being frank and open. All too often, employers find themselves in a difficult situation, and maybe even a legal mess, due to giving an inaccurate appraisal during the performance review process. For example, if the report on an employer’s appraisal states positively with regards to the skills and competencies of a worker who gets fired a few weeks later, this employee may seek legal advice or make a claim because their performance appraisal didn’t match the action taken later by the employer. At the same time, misrepresenting information during the performance appraisal process is a bad idea, as being lenient towards one worker may be looked upon as normalised by others. This will most likely plant a seed of mistrust within your team. A simple and straightforward approach is always preferred as it allows employees to answer questions easily and give you feedback based on documentable facts to use in your next approval. Performance appraisals cannot be the same for each employee as they all have different job descriptions and responsibilities. Ensure to base the evaluation on individual performance, which can be normalized across the board. It is very tempting to carry out performance appraisals in the face of a challenging situation in the workplace, such as a resignation or reorganisation that affects the entire team. Knee-jerk reactions do not go down well with employees who will be primed to defend themselves. People thrive on positive motivation and solid consistency from management, so only carry out performance appraisals when absolutely necessary. Honesty also plays its part regarding being specific as to what behaviours you want to see an employee change. Being vague will not address any issues and drags down the rest of the team. Give your employee a deadline as to when you want to see the changes or improvement, which will help them focus their efforts on changing the issue at hand. Lastly, honest feedback promotes respect between the team and management. The discomfort factor of a performance appraisal far outweighs the problems that might develop along the way if you skirt around the trust of an employee’s performance. Ii may be necessary to arrange more regular performance appraisals in order to assist the employee and to monitor their progress. Remember that the company’s policies should make it very clear that an appraisal can be called by either the employer or the employee before the scheduled date of the next appraisal. Should you require assistance with this or just like to find out more about a robust performance appraisal system, call me on 01280 700405 or click here to ping me an email and let’s see how I can help you.